We Have Your New Motorhome for Less! 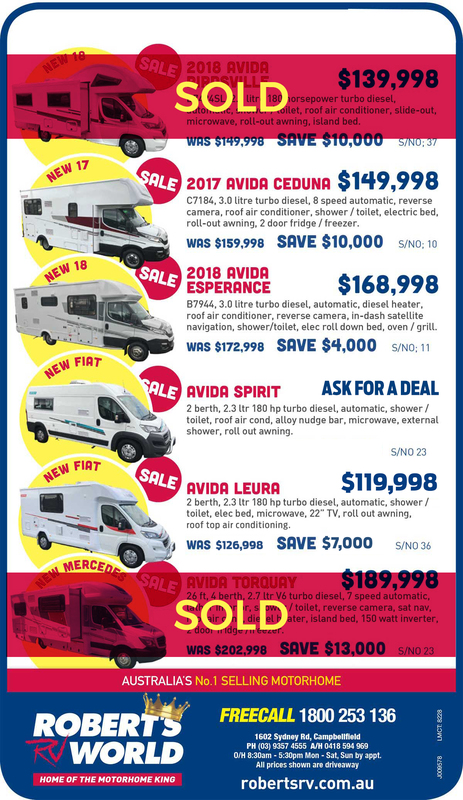 More Motorhomes More Discounted Inventory Your Chance to Save! We had a problem with slideout of motorhome purchased from another dealer. Was fixed with minimum fuss, we were even offered a car to go shopping if needed. Can't speak highly enough of Kim and her Team. Tom was fantastic. Would seriously look at buying from them in future. Sometimes people have unreal expectations - anything built by humans can have problems. It's how the problem is fixed that is the important thing. Roberts RV was open when others were closed; good range and helpful service. We bought our second hand VW Crafter and can't speak too highly of Roberts RV world. We had some very minor problems and Haydn went above and beyond to rectify it for us. Thanks Haydn, we will recommend you to everybody we speak to.